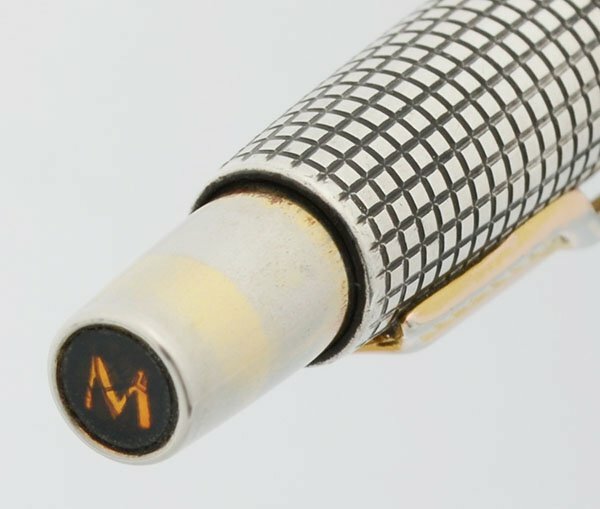 Parker 75 mechanical pencil from the 1980s, made in U.S.A. This is the later "Classic" version of the Parker 75. 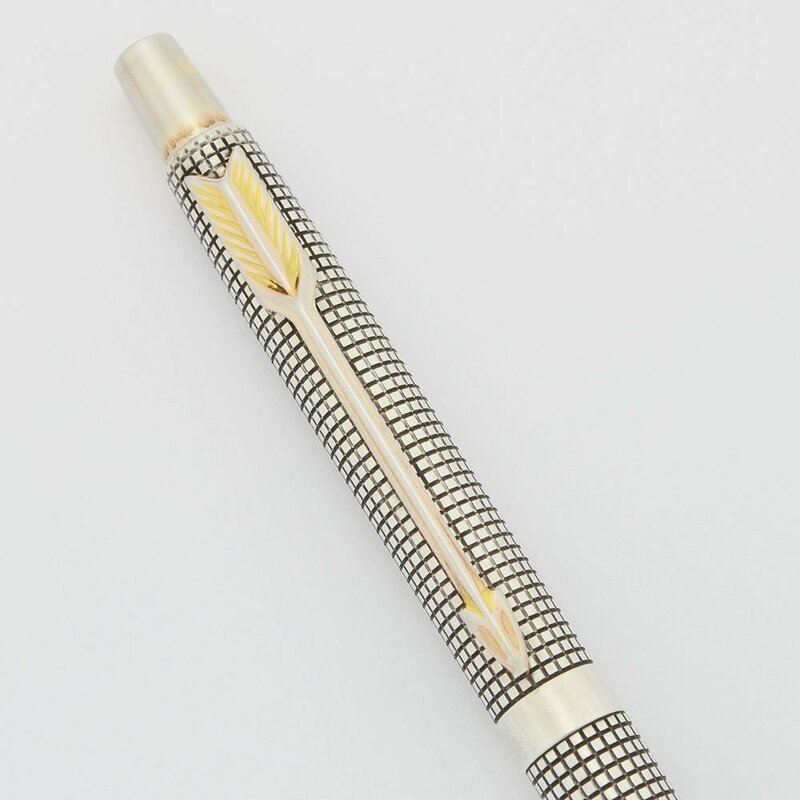 Takes 0.9mm leads and is in the Cisele sterling silver crosshatch pattern with gold plated trim. Excellent + condition with a few usage marks. Manufacturer and Year Parker, made in U.S.A. -- there is no date code. Most likely from the 1980s. Filling System This takes 0.9mm leads which extend via the button actuated system. The top of the clicker is marked "M". Condition Excellent + condition with no cracks, chips, dings, dents, or personalization (other than the "M" in the clicker). The pencil is slim and elegant. The clip has some barssing and the top clicker has some additional plating wear. The imprints are clear. The pencil is working well.